At the young age of just 18 years old, Daya has a voice that's exploding all over the airwaves. 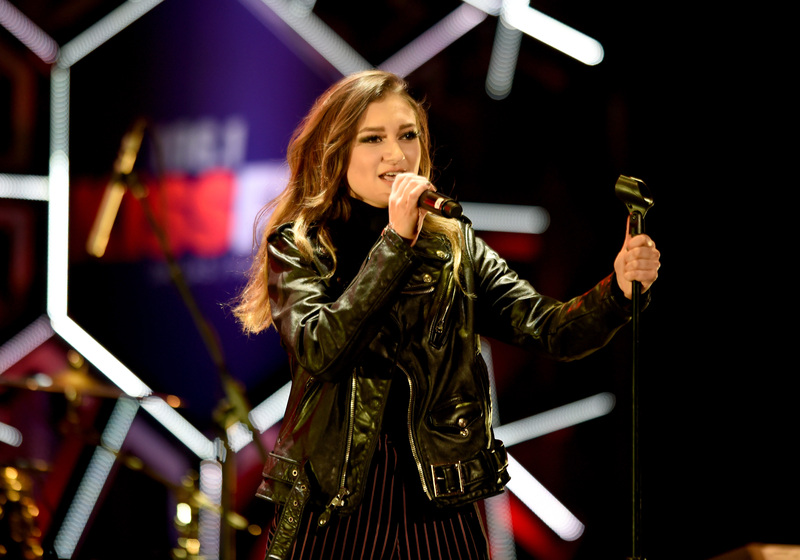 Quickly becoming a household name in pop music, the singer first gained attention with her 2015 EP Daya, which includes her hit "Hide Away." Daya continues to take 2016 by the horns, dropping her debut studio album Sit Still, Look Pretty in October. This follows the release of her wildly popular collaboration "Don't Let Me Down" with The Chainsmokers earlier in the year. Next thing you know, she's performing at awards shows, on national news shows, and major festivals across the country. But although her voice lands Daya on the Billboard Hot 100 and gains global recognition, sometimes fame isn't all it's cracked up to be for the singer. "It’s a little scary, to be honest," the Pittsburgh native tells me on the red carpet for the 2016 American Music Awards. Although she's super driven, she wasn't necessarily prepared for everything that comes with success in show business. "What scares me is just the fact that I’m always exposed. I feel like someone has a camera on me at all times," Daya says. Already, it's beginning to affect her everyday actions. "You’re definitely more self-reflective when there are so many cameras on you all the time." Needless to say, it becomes overwhelming at times. "I really have to watch what I do and how I act, not that I’m gonna go and rob a bank or anything like that," she jokes. "Sometimes it gets a little too crazy when it’s just one thing after another, like I can’t handle it anymore." Although she's grateful for her platform and all of her opportunities, sometimes she reflects on her family (which she says keeps her grounded) and of course, her former life. "It’s so different from the life that I came from," she says. "I was just a junior in high school when all this happened." But Daya won't let fame control her life. "Now I’m in a position where I can pick and choose where I want to go and what events I want to do," she says. "Avoid the ones that are gonna give me a heart attack. I’m grateful for that." And at the end of the day, she wouldn't change anything and is as thankful as ever. "I’m grateful for all the music festivals and big shows I’ve done one the past years, they’ve been really fun," says the singer. "It’s so incredible and I’m just happy I have so many fans that love my music and relate to it. I hope that continues for the rest of my life." The singer is just getting started as she's in control of her privacy and most importantly, her life.